Find your package, track your consignment or shipment. 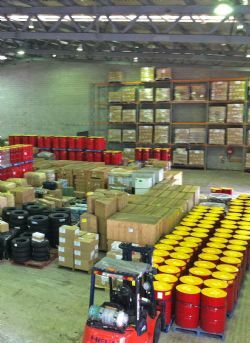 For any standard, custom or repeating shipment needs. Calculators, schedules, intercoms, forms and more. Whatever your dangerous goods requirements are we will ensure your needs and expectations are met with the professionalism and quality service you deserve. We provide a personal, friendly and comprehensive dangerous goods service and we are flexible in meeting the needs of our customers. We have expert knowledge regarding the requirements for export or import of dangerous goods including explosives and radio-actives into all countries. We are International Air Transport Association (IATA) and Regulated Air Cargo Agent (RACA) accredited. The team is trained in the application of the International Air Transport Association (IATA) Dangerous Goods Regulations for the acceptance of dangerous goods for air freight and the International Maritime Dangerous Goods (IMDG) Code for freighting dangerous goods by sea. This enables us to care for your goods and ultimately the safe delivery of them. We can provide assistance with dangerous goods transportation using a number of modes of transport and we can assist with the classification and preparation of all dangerous goods documentation. We ensure full compliance with state, federal and international regulations, including the individual requirements set out by each airline and each country. We have a full range of flexible domestic freight services to suit your business requirements, taking into consideration urgency, price and safety. We can facilitate the export of your dangerous goods by air or sea for the fastest, safest and most cost effective transit of your shipment. We are a regulated security agent, which means we are competent in all aspects of security necessary for the safe passage of air cargo. Our team are fully trained and assessed on their competencies to ensure this accreditation is maintained and up-to-date. To comply with the relevant regulations for air, sea and road freight dangerous goods transportation, we only use correct packaging. We supply a full range of freight container placards of UN approved packaging for all classes of dangerous goods, including air and sea freight hazard labels.